Dynamic Health Sure Sight is a delicious proprietary formula with Lutein, Zeaxanthin, Lycopene, Zinc and Vitamin A in a juice blend of Carrot, Bilberry and Blueberry. 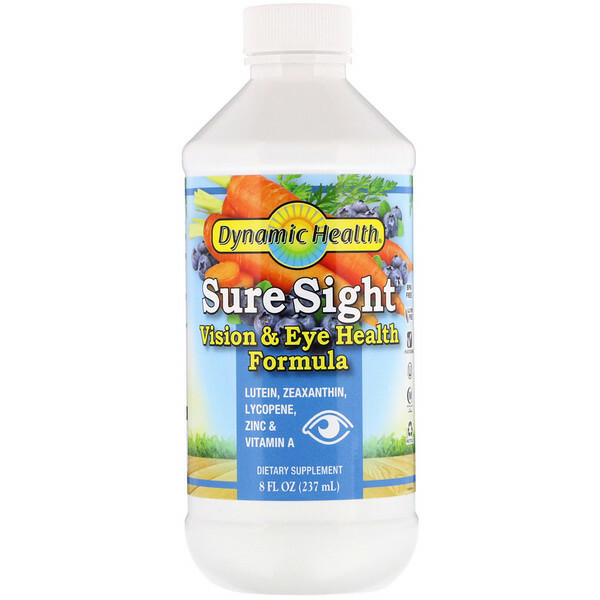 This unique blend is formulated to help provide support to maintain healthy vision and eye health. Use only as directed. 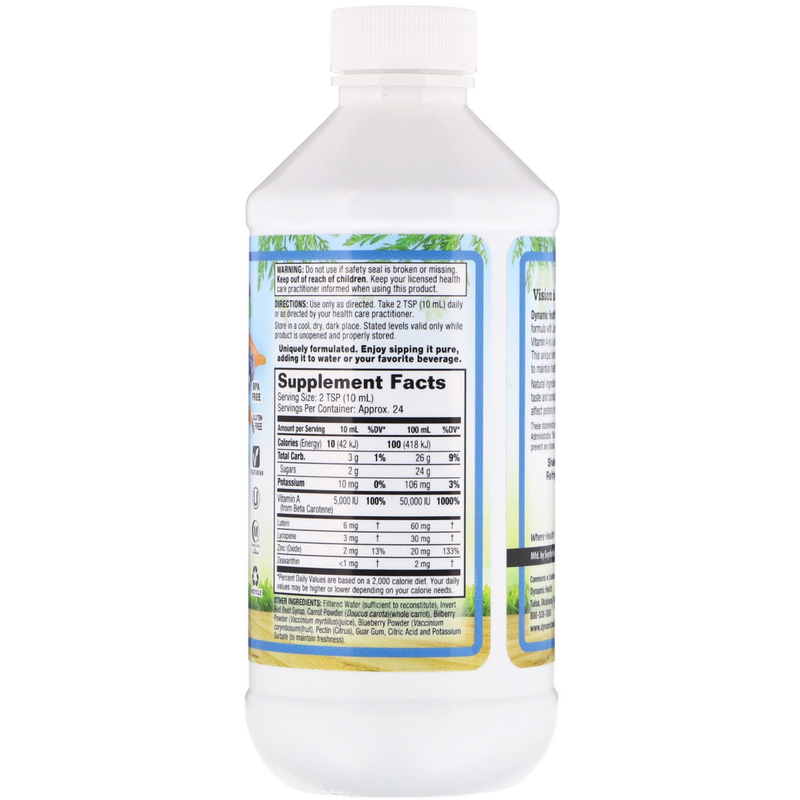 Take 2 tsp (10 ml) daily or as directed by your health care practitioner. Filtered water (sufficient to reconstitute), invert red beet syrup, carrot powder (daucus carota)(whole carrot), bilberry powder (vaccinium myrtillus)(juice), blueberry powder (vaccinium corymbosum)(fruit), pectin (citrus), guar gum, citric acid and potassium sorbate (to maintain freshness).